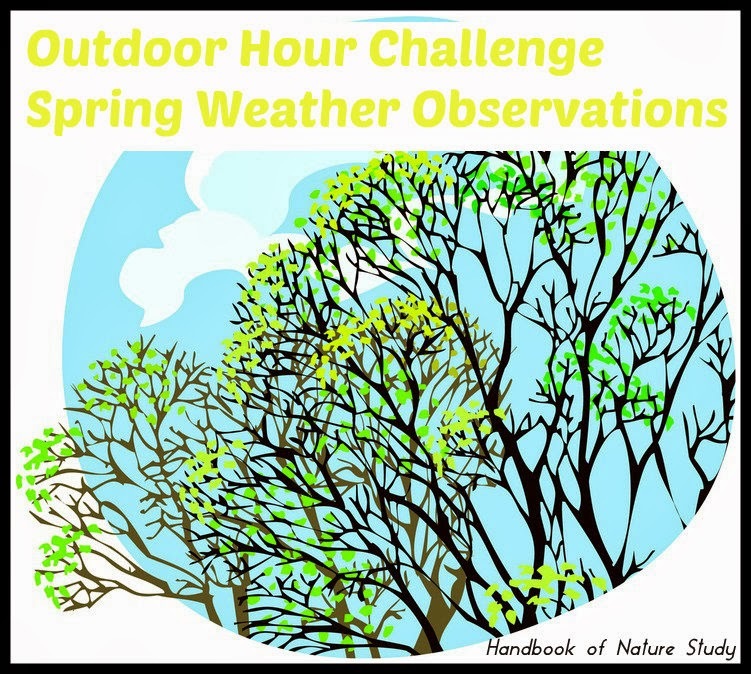 This week use the ideas in the challenges listed to make some simple Spring Weather Observations. Have your children describe any clouds they see in the sky. Notice how hard the wind is blowing by how things are moving: leaves rustling, trees bending, etc. Notice the wind’s direction. Where is it coming from? Describe the temperature of the air and/or look it up on a thermometer. Notice any precipitation that you may have this week: sprinkles, rain, mist, sleet, snow, fog, hail. During your seasonal weather observations, take a photo of something that shows your current weather conditions. Better yet, let your children take the images and then print them out for a personalized nature journal entry. This can be done in each season and recorded in your nature journal’s seasonal section. 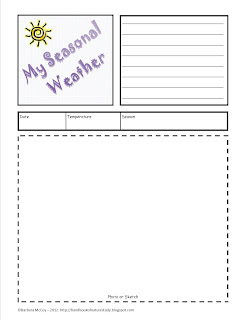 Printable Notebook Page:My Seasonal Weather. Nature in Verse by Mary Lovejoy is a whole year’s worth of poetry organized by seasons. You can click the link and scroll to the table of contents. Look for any poems that relate to spring. Read some aloud to your children and perhaps pick a line or two to copy onto a nature journal page.